Undercover forces of the Israeli army broke on Wednesday into the home of Jerusalem Legislator, Ahmad Attoun, and detained his brother, Jihad, and his cousin. 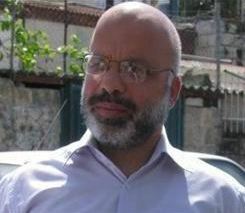 Attoun, as well other elected legislators and officials, is threatened with deportation from Jerusalem.He said that the army stormed his home and his father’s home on Wednesday afternoon, destroyed the furniture and properties of the two buildings, and severed all communications. The legislator described the attack as “a savage act that only reflects the criminal mentality of the Israeli army”. Lawmakers affiliated with the Hamas movement in the occupied West Bank slammed the attack and stated that despite all attacks and violations, Israel is failing in achieving its goals of expelling elected officials and political leaders from the city. Furthermore, the International Campaign for the Release of Kidnapped Legislators, issued a statement denouncing the attack and the ongoing Israeli violations against the Palestinians and their elected officials. The Campaign called for coordinated international efforts to stop the Israeli illegal measures against the lawmakers and the legitimate elected leaders.